(APN) ATLANTA — After six years and numerous motions of contempt against the City of Atlanta for not implementing court-ordered changes in training of Atlanta police officers, changes in Standard Operating Procedures (SOPs), and other changes to police culture, now serious sanctions have been imposed on the City of Atlanta. Today, Tuesday, May 09, 2015, Judge Timothy C. Batten, Sr. found the City of Atlanta in contempt of court, and imposed sanctions for the City’s failure to comply with a prior Settlement and Consent Order in the Atlanta Eagle Bar raid back in 2009. In 2009, Atlanta Progressive News first reported the incident, when a militarized Red Dog team raided the Atlanta Eagle bar, a gay leather bar, without a warrant; and detained and searched people who were not suspected of any crime. 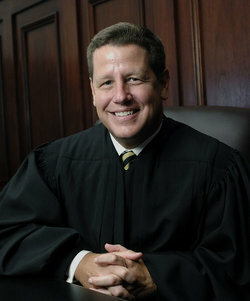 Several victims sued the City of Atlanta, in the case of Calhoun v. Pennington. In December 2010, the first set of plaintiffs settled with the City of Atlanta for a monetary payment in additional to policy changes. APN first reported that a settlement seemed near. Atlanta Progressive News raised concerns about the lack of transparency about the settlement, but details were released following approval by the City Council. Court-ordered police reforms included a requirement that police officers wear ID badges; mandatory training regarding Fourth Amendment rights every few years; the safe use of firearms; stopping warrantless stop and frisk searches; no police interference with the public’s right to videotape police activity; and for the APD to rule on citizen complaints of police misconduct within 180 days. The City paid out 1.5 million dollars to Atlanta Eagle plaintiffs to settle the federal civil lawsuit in 2010. WABE recently learned the City also paid more than 1.2 million dollars to Greenberg Traurig law firm to investigate the case. “There are a lot of shocking things about the City’s failure to comply with the Eagle Order… they violated almost every part of the order. The failure to train the police as required by the court order was really super serious… because that can cause harm. Many of these cops have no idea what the law says. They don’t know and they need to be told and be reminded every few years,” Dan Grossman, attorney, told Atlanta Progressive News. The Eagle Order came out in December 2010, and six months later the City still had not made the changes required. “On December 2011, we filed the first motion for contempt and a few days before the court was to have a hearing, they agreed to all the changes and paid a twenty-five thousand dollar fine,” Grossman said. The old SOP basically allowed police officers to conduct unlawful stop, detain and frisk searches, if they thought someone looked suspicious or did not appear to be in the right place. “As a result of the Ferguson arrests [in Atlanta] in December 2014, it became obvious the police were not following certain court orders,” Grossman said. Grossman began checking and found that the SOP language that was added after the Eagle raid to prevent unconstitutional and illegal stop, search and frisk police behavior was removed. The court ordered language in the SOP was put in December 2011 and removed in 2013. Current Fourth Amendment law regarding detentions, arrests, frisks, and searches, including the legal standards set forth in the 210 Settlement Order. Every two years the City of Atlanta shall provide recurrent, in-person training of all sworn employees of the Atlanta Police Department consistent with the Order. Plaintiffs’ counsel are authorized to monitor the training described in Sections I and 2 of this Order for a period of six years from the date of this Order. The City of Atlanta will provide Plaintiffs’ counsel with reasonable advance notice of the dates and places of proposed training; provide Plaintiffs’ counsel with copies of all proposed training materials for review sufficiently in advance of training so that Plaintiffs’ counsel may review the training materials and consult with the City; provide Plaintiffs’ counsel with a video-recording of each training session conducted pursuant to this Order; and provide Plaintiffs’ counsel with an affidavit by a sworn officer of the Atlanta Police Department attesting to the names of all officers who attended training and the dates of their attendance. Within 7 days the City of Atlanta shall distribute to each sworn employee of the Atlanta Police Department a Command Memorandum, issued by the Chief of the Atlanta Police Department, informing officers of the requirements that any Atlanta police officer who is in uniform must, at all times, wear a conspicuously visible nametag, and emphasizing that the only exception to this requirement is a rain slicker or traffic direction vest; and that any Atlanta police officer who is in uniform ur who has displayed a badge or other indicia of police authority (such as a police vest, etc.) must identify himself or herself by name and badge number upon request at some point before the end of an encounter with a civilian. On or before May 22, 2015, the City of Atlanta shall provide Plaintiffs’ counsel with a spreadsheet indicating, with regard to each complaint of police misconduct received after December 8, 2010 and each Office of Professional Standards (OPS) investigation commenced after December 8, 2010. In a separate case, on May 13, 2015, the City of Atlanta was found in contempt for violating a separate 2012 Order, in Anderson v. City of Atlanta, which prohibits police officers from interfering with citizens who peaceably video and document police activity. In November 2014, a photojournalist for Channel 11 Alive television news and a reporter for Creative Loafing Atlanta magazine were arrested and their cameras were taken, while filming police activity, during Ferguson-related demonstrations in Atlanta. The arresting officers were told repeatedly that they were arresting reporters. As a plaintiff in the Eagle Raid, I feel assaulted yet again every time such news as the lack of compliance with the court ordered stipulations of the Calhoun V. Pennington settlement are blatantly and defiantly dismissed. Being assaulted for merely sitting at the Eagle bar in orderly decorum and drinking a Sprite is beyond conceivable and was an egregiously heinous affront to my Constitution-granted rights as a U.S. citizen. To be continuously insulted by the fact that from the beginning, the Atlanta Police Department and Mayor Reed defended their right to act in the manner of the September 10, 20009 raid was clearly a violation of the 4th Amendment Rights of all those of us who were detained that night. The Eagle Raid is the case that just keeps on giving; giving the citizens of Atlanta more and more opportunities to fund the arrogance of the City’s willful defiance of a federal court judge Batten. Such actions bear a weighted witness as to the obstreperousness of City of Atlanta’s tactics in dismissing the rights of its citizens at the expense of sanctions and fines just as they illegally and obnoxiously obliterated the civil rights of the those present in the Eagle Raid during the infamous raid. For an administration which is so invested in its legacy to the City of Atlanta, what kind of legacy is being left in light of this? The world is waiting and watching to see what it is.